I remember the first time I saw a Broadway show. I was in high school and because I grew up in close proximity to New York City, my school purchased Broadway Theater Tickets and we went on a class trip. I can tell you I was hooked on theater from the very moment I saw those actors appear on stage. To this day, I consider myself fortunate to have been able to attend that show, as my folks were elderly and did not have the ability to take me to theater. On the other hand, I wish I had been able to go when I was even younger. For me is was, and still is,..... a magical experience. I vowed as an adult, after my son was born, to take him to see theater at an early age. I kept my word and I have not regretted it. One family fun day we have as often as possible involves purchasing Broadway play tickets. My son has been keeping the Broadway Show tickets of everything he has seen in a scrapbook and is creating a lifetime of memories. And what of Broadway and Times Square...we've walked from one end to the other many times. Yes, we do have our very own favorite Times Square Restaurants and our favorite spots for after the show, too. Our very favorite has moved Uptown and although we miss it not being in its old location, it works out nicely when we occasionally go Uptown to theater at Lincoln Center. It's only a few blocks from there. Now, you might be fortunate, as we are, to live close to New York City Broadway or you might be considering a family vacation to the area. If you are trying to decide what Broadway Theater Tickets to purchase that will be be family friendly, I can give you an idea of how to get information on Broadway shows and this will help in your decision. Broadway show Websites are fairly easy to find by looking on the Internet for either the play itself, or if you know the name of the Broadway Theater, at which it is showing, you can look that up. Once you find the Website, you will usually find a synopsis of the plot, information about the actors and actresses in the show, information about the creative team, and other interesting tidbits but you do not always get information about for what age group the show may be appropriate. If you do purchase a ticket for a child younger than 4, that child may not be admitted to the theater when you show up. Broadway Theater Tickets must be purchased, however, for everyone attending. Do not assume that if you are bringing a 4 or 5 year old child that they can get into the play and sit on your lap. Once you have decided on the Broadway Play you want to attend with the family, there are many places to purchase tickets. You can buy through one of the large companies mentioned earlier, or through the box office. There are many discount ticket brokers, clubs you can join on the Internet, school discount programs, a booth in Times Square and numerous other ways of getting Broadway Theater Tickets. 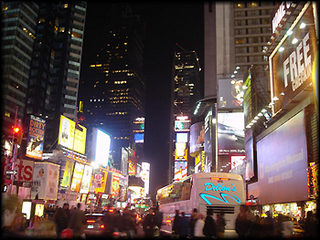 If you are vacationing in New York City, or not, you can also find package deals for hotels, dinner and a show. To find the best deals you will have to do some research but believe me, many times it is really worth it. Well, there you have it, the why and the wherefore of Broadway Show Tickets...Come into New York City and have some family fun. You'll be making some great memories for the entire family. See you at the theater!